Welcome back! 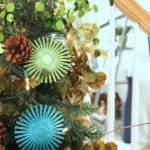 Ready to continue on our journey to a less stressful holiday season? Great! So far this month, we’ve simplified things by taking a good chunk of holiday obligations off of your plate. We also started the holiday planning process off with a bang by creating a holiday planner AND deciding what tasks to delegate. This week’s focus? 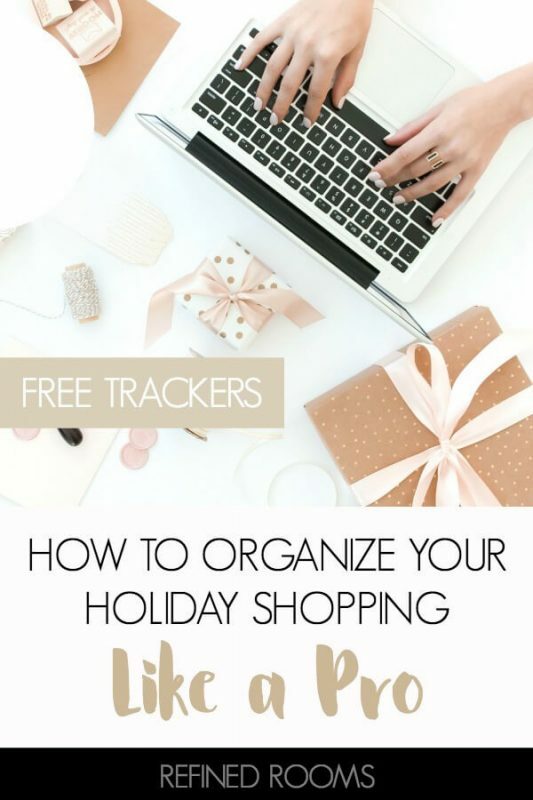 How to organize your holiday shopping. Why are we spending an entire week on the holiday shopping and gift-giving process? 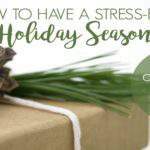 Well my friend, take a look at the tasks on your Master To Do list and tally up just how many of those tasks fall under the broad category of holiday shopping. If you’re like most, it’s actually a fairly large chunk of the list. But never fear my Pretties…with a little preparation and the right tools, you can tackle your holiday gift shopping like a Pro. It never fails. When I’m on the spot to come up with a fabulous gift idea for ANYONE in December, I’ve got nothing. 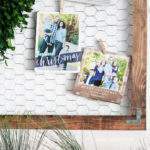 But many times, I stumble upon the MOST PERFECT gift for someone while browsing through a catalog in March, or while surfing the web for something totally unrelated in June. Create a GIFT IDEAS list on your smartphone. I use the NOTES app that’s native to my iPhone for this purpose. I’m certain that there’s a similar app for you Android folks. The beauty of capturing the ideas on your phone is that most of us always have our phones with us (I love using my smart phone as a memory aid!). Come December when it’s time to begin planning your holiday gift shopping, simply open up that list to refer to during the planning process, and you’re good to go! The first step in organizing your holiday shopping is to set an overall budget for holiday gifts. Having a magic number that you’ve determined ahead of time will help you to keep your spending in check in the coming weeks. Next, make a list of each and every person that you plan to buy for this holiday. If you’re list is fairly extensive, it might be helpful to create separate lists for various categories of gift recipients. Next, set a person-specific budget. 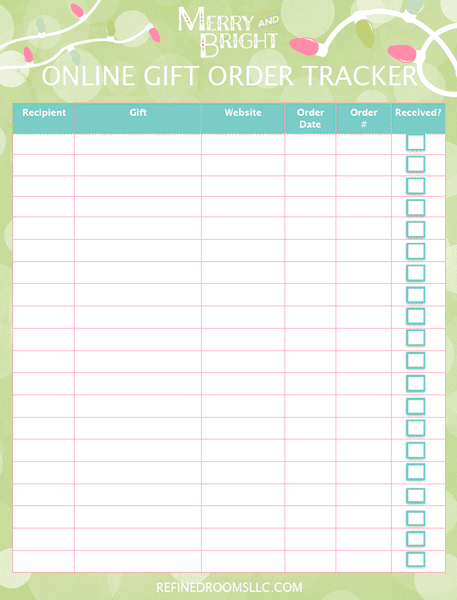 Determine how much of the overall budget you’ll allocate to each gift recipient on your list. Going through this exercise before you begin the shopping process will help you to set some boundaries upfront and hopefully prevent you from going Hog Wild (you know, that tendency to buy just one more thing). 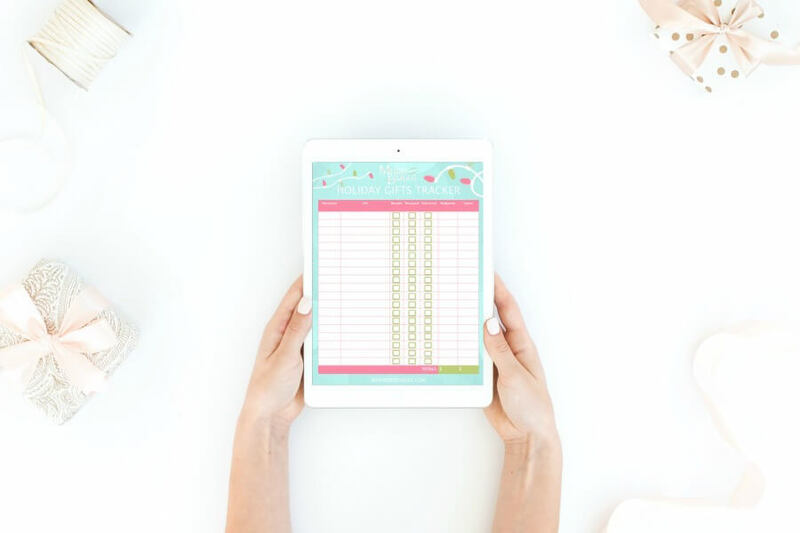 There are some super helpful apps available to help you organize and manage the gazillion details involved in the holiday gift-giving process. 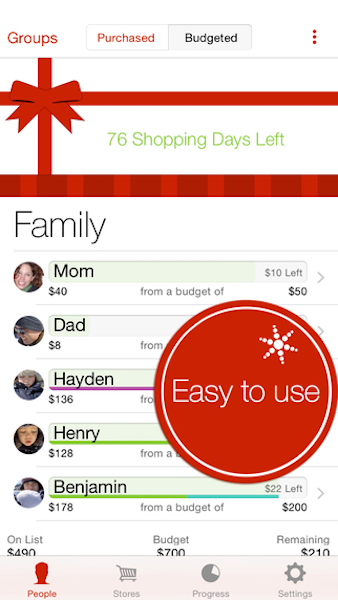 These apps also do a great job of keeping track of your holiday spending. You can set an overall budget and then with each purchase, see at a glance how much you’ve spent and your remaining budget balance. 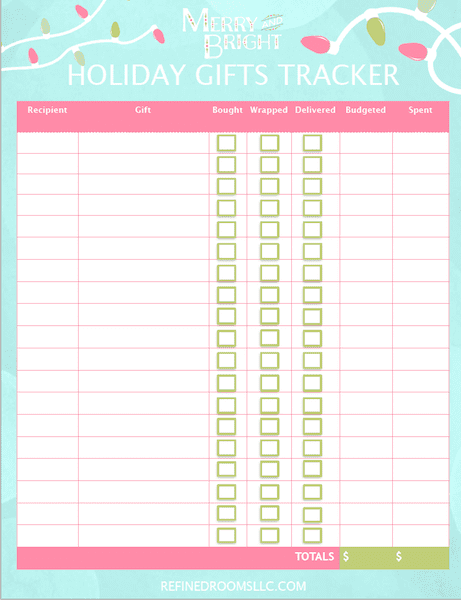 For those of you who prefer to organize on paper, I’ve created a Holiday Gifts Tracker that you can use to manage the shopping and gift-giving process (& keep track of your spending). Print out a copy and tuck it into your holiday planning notebook for reference. Before you pull out your wallet, spend some time researching opportunities to save money on your gift purchases. 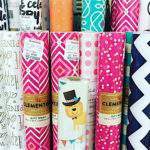 With a list of gift ideas in hand, scour the newspaper or conduct some online research to see where you can score those gift purchases for the best price. Black Friday and Cyber Monday provide some great opportunities to save beaucoup bucks. Those who score the best deals do their homework beforehand. Check out some of the most popular price comparison apps to see how they can help you determine the best place to snag the items on your shopping list. This is also the perfect time to organize your coupons. By going through them and tossing the expired ones, you’ll be able to quickly identify any coupons that you can use to make gift purchases. 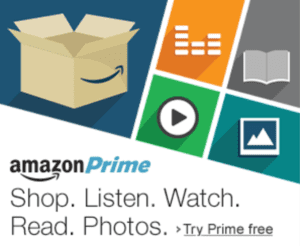 For me, happiness is Amazon Prime! The only tricky part about shopping online is keeping track of where the gift is in the order/shipment/delivery process. This time of year, I seem to have an Amazon Prime box arriving on my door step just about every day. I use a basic spreadsheet to keep track of when a gift purchase has been delivered to my house (or to the gift recipient if shipped directly to them). Go during off-peak times – Shop early in the morning and on weekdays to avoid lines and crowds (Wednesdays are generally the slowest day of the week). Map out your route – If you plan to tackle multiple stores in one shopping excursion, take some time up front to map out the most efficient route so that you’re not driving all over the place and wasting precious time (and gas). Build in some time for a lunch/dinner break – There’s nothing worse than fighting store crowds when you have a bad case of the hangrys! 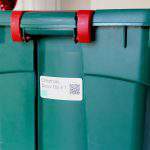 Returns are an inevitable part of the holiday gift-giving process. I’m a huge fan of including a gift receipt along with the gift. That way, if there are any issues with the gift, the gift recipient doesn’t need to involve you in the returns process. Of course, if it’s your family member, you’ll need to be the one handling the return/exchange. To avoid post-Christmas headaches, it’s super helpful to put a temporary system in place for storing your holiday receipts. I have a regular system for storing receipts for items I may return. But I prefer to store receipts for holiday gifts separately from other receipts. I store paper receipts in a large envelope , while electronic receipts are stored in a designated folder within my email. My rule of thumb is to hang on to these receipts for 3 months after Christmas, which is ample time to determine whether or not you need to return an item. 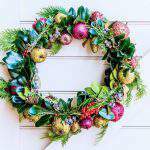 If you follow these tips, your holiday shopping and gift-giving system will be operating like a well-oiled machine this season. And all that will be left to do is wrap those gifts! 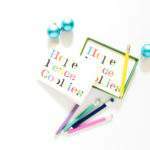 Thanks for sharing these great tips with us at the Funtastic Friday Blog Hop! I hope we see you again soon! Merry Christmas Debra…so glad to hear from you!